Neonicotinoids a Disaster in the making? This week we are talking to Dr. Henk Tennekes from the Netherlands. This is Episode fifty two of our beekeeping podcast. Dr Henk Tennekes is a esteemed toxicologist and author. Dr Tennekes has been working in cancer research for most of his career. He has been studying neonicotinoids in relation to decline of insects and bird life. He discovered that this family of pesticides are not only effecting bees but other insects and birds. In 2010 he publish his findings the in the book “A Disaster in the Making“. We encourage you to support Henk’s work and buy a copy of his fantastic book. We encourage you to copy this recording and please give it to any friends or family that may buy pesticides for their home garden. Let’s all vote against these products with our dollars. Clothianidin can remain in the soil for nineteen years. Insects are the main food source for many mammals and fish. 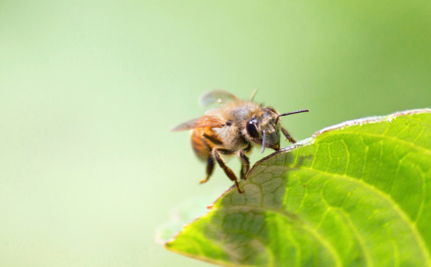 Neonicotinoids destroy insects immune system and help infections in beehives to spread. Everything is connected, you can’t destroy insects without it effecting all species (including humans).